Perfect hunting camp on 37 acres, adjacent to several sections of Oneida county land. 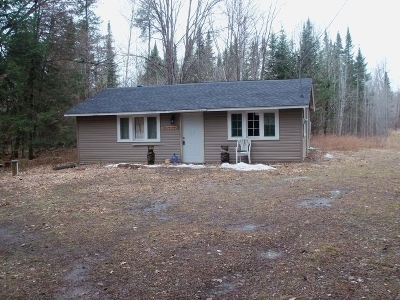 Includes a 24x36 cabin with new roof and siding within the passed 5 years. This property has easy access off town Road. This is a perfect set-up for trophy bucks, large turkeys and ruffed grouse, Several trails throughout property for easy access to hunting.Don&apos;t hesitate as prime hunting camps are hard to find in this price range.